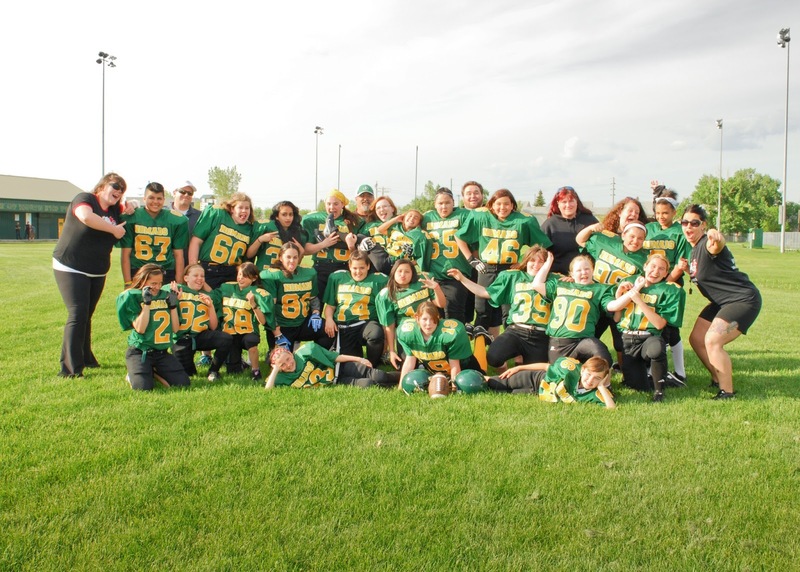 This Sunday, players from the Eagles and Nomads Jr teams will be promoting the league at Investors Group Field. The showcase will take place during half time of the Bantam final which kicks off at 4 on Sunday. A HUGE thank you to the teams and coaches, and to the MFRA for reffing the showcase.  Thank you Football Manitoba for including the girls! Tonight the MGFA proudly presents the 3rd ever Championship game! This season was a huge success with the addition of a 2nd age group and we are proud to grow every season! From 40 players in year 1 to 120 this season the league is growing! The Jr championship will kick off at 6:30. The Eagles vs the Nomads, both teams will be attending their first championship! And The Sr Championship is The defending Champions the Mustangs vs the Eagles in their first championship game. Good luck to all teams tonight and consolation games will also take place. Come on out and cheer on these amazing girls!! Valour Community Centre is hosting the MGFA Tonight!!! Come on out and watch the first games of 2013!!! 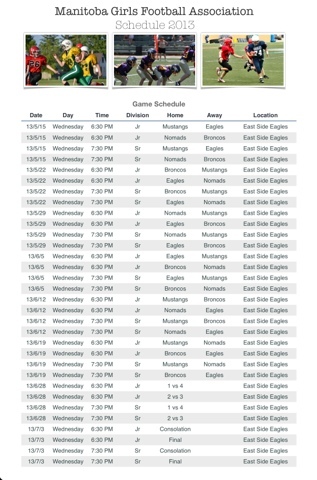 All the action is at East Side eagles tonight! The North Winnipeg Nomads and Charleswood Broncos are still accepting players at both age groups! Please contact Lisa mbgirlsfootball@gmail.com or 204-995-8287 for details on registration! Just a reminder that registration will take place March 14 and 15 at the Sport for Life building 145 pacific Ave. 7-9. Cost is $150.00. Rosters fill on a first come first serve basis so to ensure your daughter gets on the team closest to home come early!